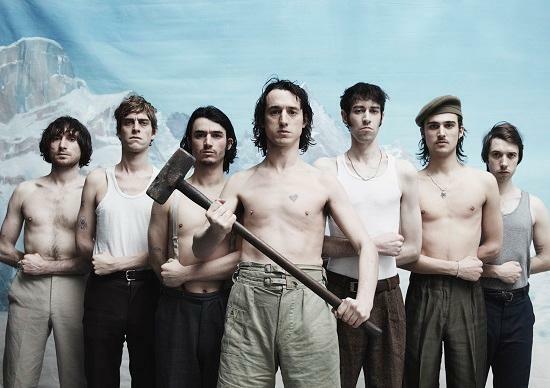 The narrative surrounding Fat White Family has usually concerned frontman Lias Saoudi and guitarist Saul Adamczewski. They have been considered the central creative partnership of the group, a flawed, frayed and fractious partnership, but central nonetheless. It is the two of them who might first come to mind when one tries to picture the band, Saul’s intense glare and gnarled smile, Lias’ wild and simmering stage presence. But when it comes to the band’s third record Serfs Up!, for the first time Lias’ brother Nathan, the band’s keyboard player, is of equal importance. Nathan, Lias and Saul are responsible for around a third of the record each, I’m told, as I meet the brothers Saoudi at The Trinity Arms pub in their once-native South London, along with the band’s saxophonist Alex White. Lias is affable and polite, while Nathan arrives last, more distant and standoffish than his elder brother. Each of the three orders a Guinness, and rolls a cigarette as we take a seat in the beer garden. Before long a fish finger sandwich arrives for Lias, but he says he’d consider it rude were he to start eating until we’ve finished the interview. Serfs Up! is a tremendous album, a sonic volte-face into driving, luxurious pop that was recorded in their newly established Champzone Studios in Sheffield, and released via new label Domino. 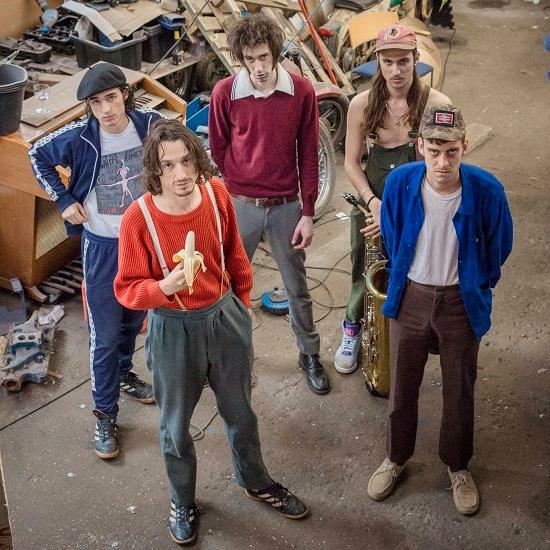 The first review came in from Mojo a few days previously; "The Fat White Family have survived their ordeal" it proclaimed. From the outside it can sometimes seem like the group’s entire existence is just one ordeal after another, so I ask how much that’s true. “Survived what ordeal?” says Nathan, immediately on edge. “What ordeal? I can’t remember!” He knocks his head and makes a hollow clicking sound, then laughs wildly to himself. Lias is apparently more concerned with weaving the right narrative. “And too much love!” Nathan interrupts. At this point, the interview descends into incomprehensible bickering, before Lias threatens to terminate the interview altogether. “Perhaps we should just change the subject?” says Alex, who after realising that he’d struggle to get much of a word in, has spent the last ten minutes enjoying a bowl of soup. 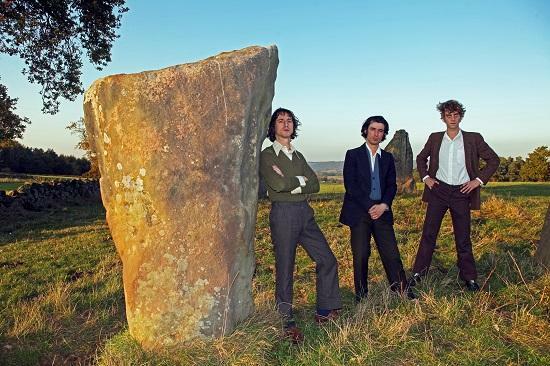 What’s telling, is that for all the squabbling and tension, and perhaps even because of it, The Fat Whites have returned from Yorkshire with a compulsive LP, one that proves beyond all reasonable doubt that for all the tales of grot that they carry around with them, they are one of the most acute, penetrating bands of their generation. Serfs Up! is a fantastic record, one that refuses to bend to the grubby clichés that the band have become unfairly saddled with. The new record maintains the band’s indefatigable will for provocation, their embrace of the sordid, and their obsidian-black sense of humour, but more than ever it finds coherent shape in their sweeping haul of cultural influences, from Wham!’s ‘Blue (Armed With Love)’ to the “sheer bombast” of Kanye West’s Yeezus; from Jean Genet’s posthumously published accounts of encounters with The Black Panthers and Palestinian soldiers, Prisoner Of Love, to copious amounts of ketamine. “That was the kind of question they’d ask you at the job centre,” Nathan tells me. His bandmates laugh. As we wrap up an interview as tumultuous as this band themselves, I ask if there’s anything they’d like to add as a parting word. “That there’s too much love in this group,” says Nathan. He’s being sarcastic, but he’s probably right.